Create your own battle at home! This offer is no longer available. To see more of our great offers click here. Airing from June 12 on Food Network Australia and SBS On-Demand, “Battle of the Vines” pits state against state to find out who makes Australia’s best wines! Check it out to see which wines impressed the presenters and whether the Mixed Dozen Judges of everyday Australians agreed. Then it’s time for you to give your two cents! All the wines from “Battle of the Vines” are available here, so now you can have your own tasting battle at home. 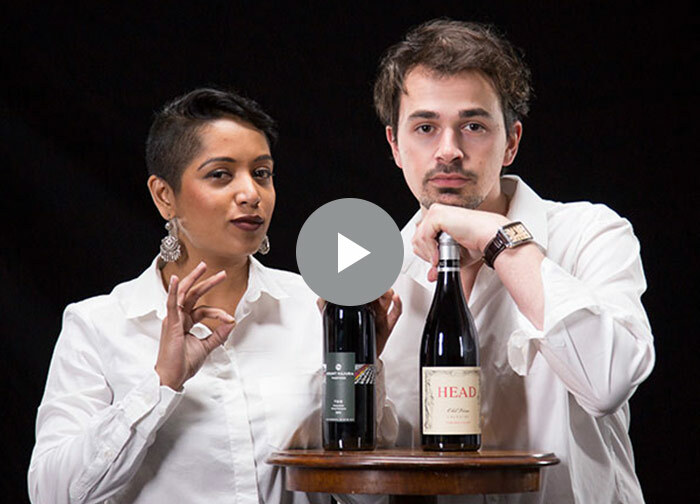 From New South Wales Sparkling that wows Frank, to South Australian Syrah that gives Arthur the feels and a Victorian Dry Red that has Liinaa gushing, this is a taste test of delicious proportions! To put together your own battle, choose from the wines below and remember, when you choose 6 or more bottles, you’ll receive 10% off! If you’ve watched “Battle of the Vines”, you might have noticed that some of the vintages of the wines here are different. While we know vintage can make a difference, we guarantee that the wines presented below are the same great quality as those on the show. Be quick – order now! These wines are only available in limited quantities and were hard to get our hands on, so don’t miss out!